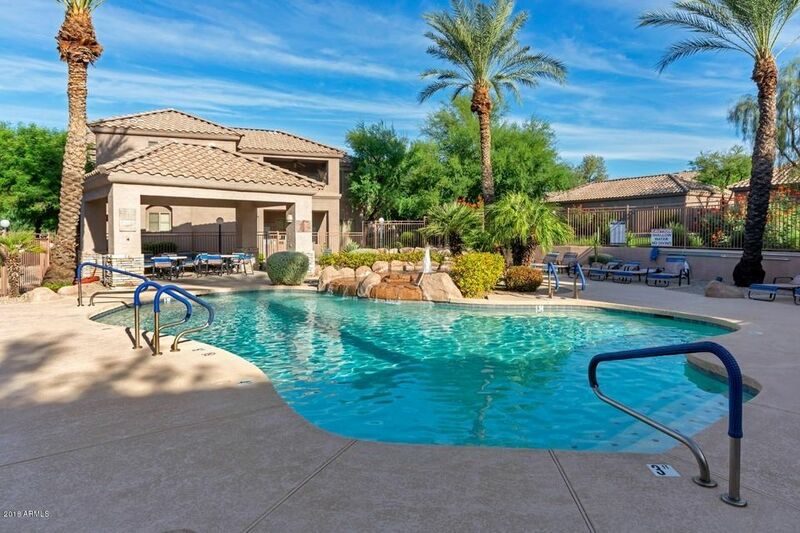 All TALAVERA CONDOMINIUM homes currently listed for sale in Scottsdale as of 04/25/2019 are shown below. You can change the search criteria at any time by pressing the 'Change Search' button below. 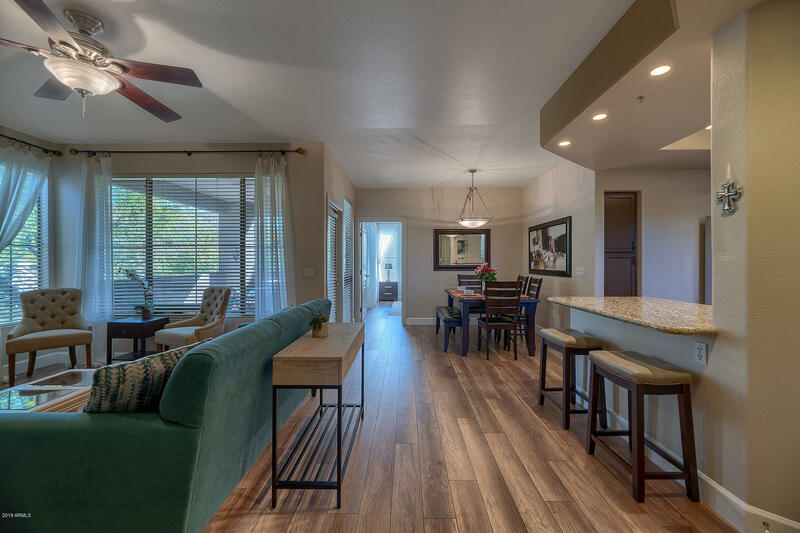 "Beautifully upgraded three bedroom condo in North Scottsdale's gated community of Talavera! It is rare when a 3 bedrm condo comes available in this highly sought after community! Upgrades include new wood-like laminate flooring throughout, NestThermostat, 55 inch flat screen T.V. mounted on wall, granite counter tops, luxurious travertine stone in bathrooms as well as upgraded fixtures. Stainless steel kitchen appliances add to this updated home! Located near the community clubhouse, workout roo"
"BACK ON THE MARKET!! GROUND FLOOR UNIT -Beautiful 2 bdrm/2 bth SPLIT floorplan. Breakfast bar, Full size washer & dryer. Covered patio, great for morning breakfast or lunches! Master has a large walk in closet, Double sinks, with deep tub/ shower. In a gated, secured & quiet community! Lush green belts. Steps away from the clubhouse, heated pool & spa w/rock waterfalls, Ramada, fitness center and GAS Grills. 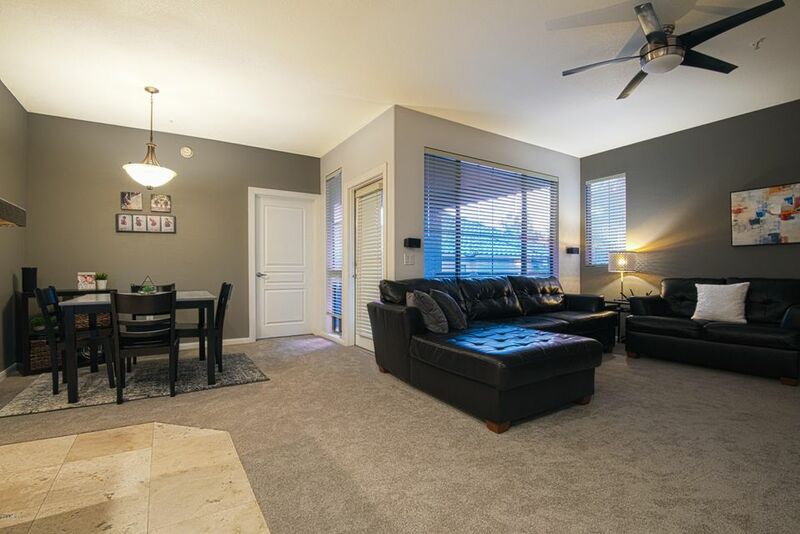 Ideal location, close to everything..101, Kierland, Scottsdale Quarters, GOLF -TPC, Talk"
"*Recent Price Reduction* Beautifully remodeled 2 bedroom 2 bath condo in quiet Talavera complex. Conveniently located in Scottsdale near shopping, restaurants, and freeway access. Open floor plan with brand new carpet installed throughout. Kitchen features new refrigerator and dishwasher. Spacious master bedroom offers a walk-in closet and fully remodeled shower. Washer and dryer included. Desert landscaping in front yard and covered deck in the back. Community pool, jacuzzi, and gym." "Wow! 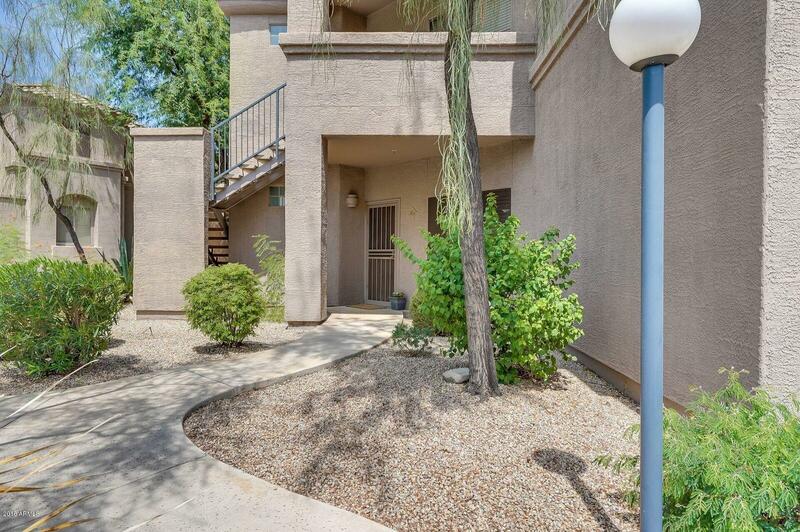 Lovely ground floor condo centrally located in a beautifully maintained North Scottsdale gated community! Brand new wood laminate flooring in Living Room and bedrooms. Washer, dryer, bathroom fixtures and water valves replaced in 2015. Trane HVAC System, water heater and ceiling fans replaced in 2014. Refrigerator, stove and microwave updated in last few years. Enjoy a tiled covered patio year round overlooking open grassy area with BBQs. Near Pool, Spa, and Clubhouse with Exercise Roo"